In the last post I covered how to use Parse.com in Unity itself, in this post I want to talk about to to go about writing backend code. 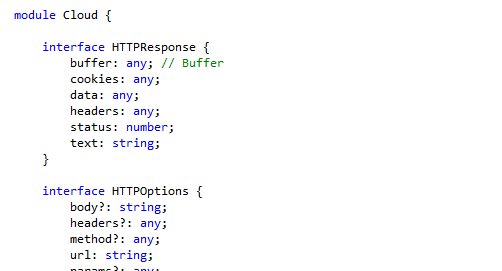 Note all the code talked about can be found in the Parse Unity Sample Project on Github. I briefly talked about App structure in my first post. I like to use use Visual Studio with Typescript and C# for my Backend as they all play nicely together an produce a hassle free way of coding up the backend. Because there is no way to run Parse cloud code offline, all tests must run on code that runs on the Parse servers. At first this sounded really nasty to me and almost put me off using Parse all together but once I realised that I could just create another App for testing and structure my test in such a way that I could isolate each test, I grew to like it, I actually really enjoy writing these tests now. I like to use NUnit with the Parse .NET SDK for the testing because it lets us use some more advanced C# features such as async / await which the Unity SDK hasn't got access too, and more importantly it returns the server error messages (unlike Unity) which we can test against. I included some simple helpers that I like to use for testing which setup Parse before each test. This means that files are linked to the Common project so they are included in compilation and any changes you make to those files in either the Common project or Backend project will be reflected in the other. This is perfect as it now lets us compile the same files using a different compiler and version of Parse. Well thats it for my three part post on how to get started using Parse in Unity. I hope it helps some people, please do leave me a comment or email me: mike.cann@gmail.com if you have any questions.